Along with the fun of exploring a new community, your next PCS comes with it’s own challenges – like downsizing to a smaller home. Whether you are watching the budget, moving on base or heading to a more urban area like the DC Metro area, a smaller home can be a squeeze for your furniture and your life. If you know you are headed to a smaller home, are concerned about hitting your weight allowance or you just want to de-clutter your current place, a little strategy and organization goes a long way toward revealing the essentials. If something hasn’t been used since your last PCS, consider selling it or throwing it away. That treadmill that serves as a stand in clothes rack? Sell it and pay for a gym membership at your new duty station. 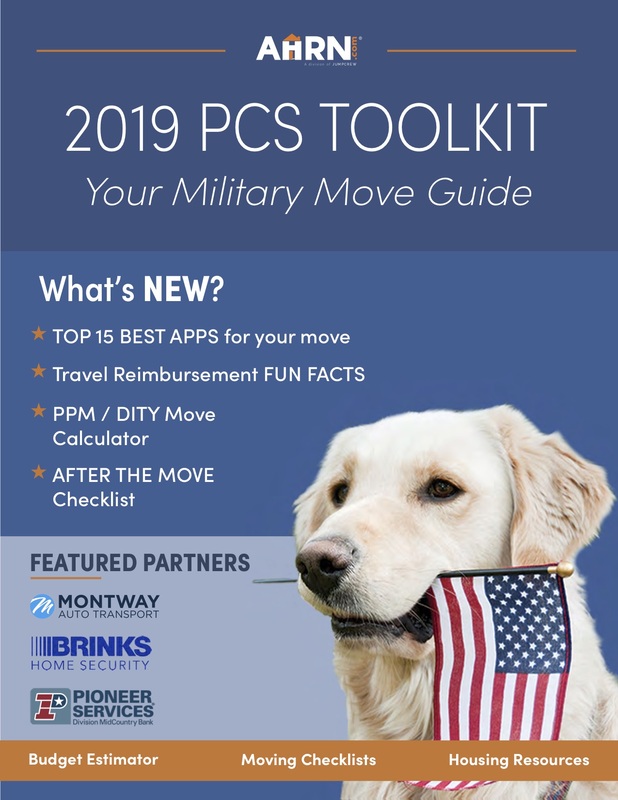 Pare down the sentimental items you’ve been lugging around to each duty station by scanning documents, using space saver bags and eliminating duplicates. Flexible furniture becomes even more important when you are downsizing. With less floor and wall space, it is essential that every piece serves a purpose and ideally does double duty. Interior designer Brianna Beninati, owner of Based In Design, suggests, “Invest in multi-functional pieces — those that can double as extra storage if you find yourself in a home lacking closets or storage space.” Modular pieces that can be taken apart and used in different rooms are more likely to fit a small space than a statement entertainment center that occupies a whole wall. It might take a little rearranging to find the best way to live in your downsized home, so opt for furniture that gives you that ability! Thinking outside the box with your storage is a powerful way of creating more space in a smaller home by reducing clutter and maximizing the space you do have. Shelves above the door and judicious use of rods and hooks can keep bathrooms organized without taking up closet space. Pallets, flat filing cabinets and some genius Ikea hacks were highlighted by Apartmenttherapy.com to create under-bed storage perfect for the downsizing family. Don’t forget the vertical spaces too! TheKitchn.com offers 5 ways to use those small spaces for more efficient storage in a small kitchen. Along with storage, organization becomes essential when you are moving to a smaller space. Even with thorough de-cluttering, unorganized belongings can make your new home feel even smaller. Utilize baskets to make the most of shelves. Find the in-between spaces (like the back of the bathroom door) that serve as additional storage space and keep as much as you can of your counter and floor space clear. Large horizontal spaces, like coffee tables, attract papers and other the other flotsam of daily life. 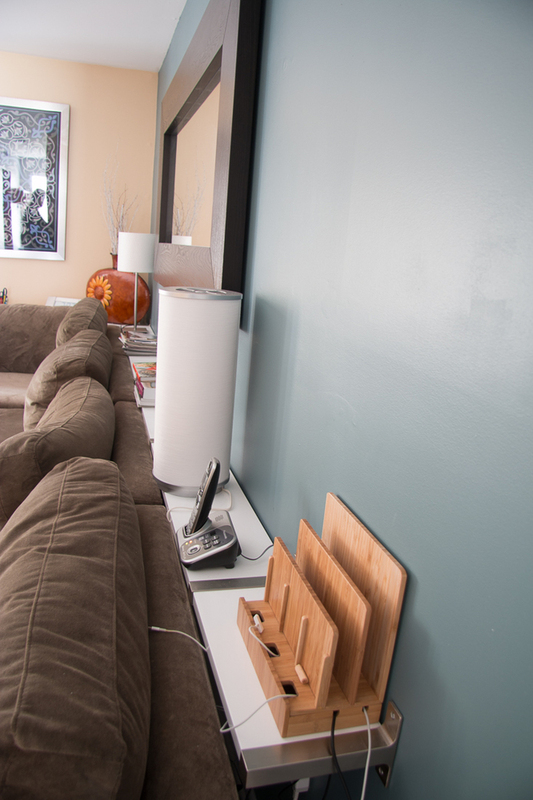 One option is to eliminate those often clutter spaces like replacing the coffee table with a behind-the-couch shelf for lamps and chargers. The key is to preserve those aspects of home that are most important to you – the spaces you use the most and the capability to do the things you most enjoy – while eliminating the only sometimes-useful items. You just might find that paring things down means less clean up and more space (and time!) to enjoy your home! 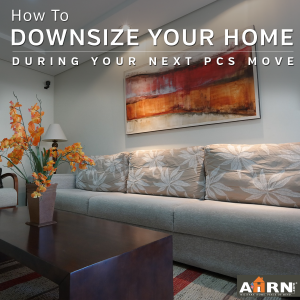 What is the most challenging part of downsizing for you?